If your child is absent, please send in an excuse when they return or you may send an email to the attendance clerk using the link below. If you need to enroll your child in the before or after school care program, please click here. Applications are available during open house and during the school year. If you enroll your child after school has begun, please make sure a note is sent in with your child to the teacher to let them know when they will begin after school care. There may be a wait list to enroll in the program for one or more grade levels and therefore applications would not be handed out during that time. In order to help ensure the safety at our school, we require all visitors to our campus to show their ID in the office. If you are on the student's contact list, your ID will be scanned and you will be given a pass to go on our campus. Your pass must be turned back in when leaving campus. For a student to be picked up from school at dismissal, the vehicle must have a school issued car tag displayed. Please remain in your vehicle and pull forward to have your child loaded by one of our staff members. We do not allow people to walk up to the dismissal line for the safety of our students. If you have a car tag, remain in your vehicle. If you are picking the student up early or you do not have your car tag at dismissal, please bring your ID to the office for your child to be called. You can't be aWESome without WES! ID policy in effect. Must bring ID to visit, check out student or enter building. There is NO after school care on the last day of school. documentation to complete the registration. See website for more info. 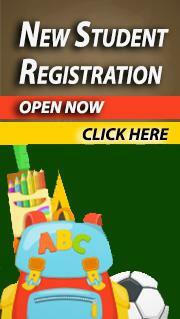 Head Start registration is by appointment only. 3 days prior to the event. meet them at the bus stop even if there is an older sibling on the bus. be returned to school and after school day care charges will apply. You no longer have to do a paper lunch application. Send a note with your child letting the teacher know how your child is going home. We do NOT accept transportation changes by phone. or the teacher's ability to access email during instruction time (or if the teacher is absent). Car Riders: Send a note that your child is a car rider. the office with your ID to get car tag/pick up student. please come to the office with ID if you are not in a car. Bus Riders: Send a note that your child is a bus rider. the bus # they will be riding if you know it. This will help with dismissal. Send a note to the teacher if you are picking up your child early. they may have already packed up and brought their book bag with them. Instead of printing school agendas, we are making them available electronically. The district has a new system to register volunteers. We have openings for custodians and after school care. please contact Mr. Boston during normal school hours @ 843-899-8880. Would you like to work in our After School Care program? for more information at 899-8880. Would you like to get automatic alerts from bus transportation when your child's bus has a delay? Use the following link to register for text and/or email alerts. If you have a change to your child's regular transportation home, you must send a note in with the student. We are unable to accept transportation changes by phone and email is not a reliable form of notification since the teacher may be absent or unable to check their email until after school dismisses. Order your 2018-2019 Whitesville Elementary Yearbook. Yearbooks will be soft cover. Yearbook distribution is the end of May. After February 22, yearbooks will be sold on a 1st come/CASH ($27) basis until the last yearbook is sold. There may be a very limited amount of yearbooks left to order after February 22, so order now!